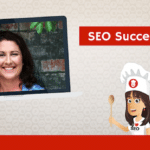 Kate Toon: Hello SEO lovers. How the devil are you? It’s Kate Toon here. A little reverb from Gavin’s speakers there. We are doing a little live chat today and I’m doing it with the lovely Gavin Hodgins. Say hi, Gavin. Gavin Hodgins: Hello everybody. How are you? Kate Toon: Hello everybody in internet Lands. Now everybody in internet lands is probably freaking out because their site has gone down. If you are anything like us and use SiteGround then your site has probably gone down. So while you are waiting for your site to come back up why not watch Gavin and I talk about stuff. 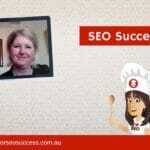 This is SEO-loving week this week is where I try and give all of you a bit more SEO love. I’m giving Q & A sessions on Thursday and Friday. 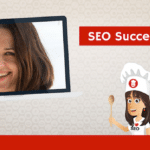 We’ve got a help ladder on Wednesday and I’m also doing some interviews with my favorite students from the course to talk about their SEO journey – what they’ve learned and pass on any tips to you guys out there as well. So Gavin, do you want to tell us a little bit about you and your business. Gavin Hodgins: Sure. So I am the CEO of FloatPac Pty Ltd. We’ve been in business since 1983, somewhere in there. Fairly resilient online company now. We manufacture everything ourselves but made a big change about probably ten years ago or so where we were selling a lot of product for retail. I basically got sick to death of retailers asking for too much discount so we decided to scrub that and do it all ourselves, and since then we’ve become pretty much an online business. We’ve moved our manufacturing and done a few other things to focus on it as well. Yeah, that’s where we’re at at the moment. Gavin Hodgins: We spend a lot of money of on web site. We spend a lot of money on our development of sites and last year, I started to become a little concerned that our people doing our SEO weren’t necessarily doing exactly what they were telling us. Not to say they were doing anything wrong, but it just wasn’t being done right. So I went an did your course and figured out that they had, my sneaking suspicions were right, and here we are today. So we’ve built our new site and in the process saved a lot of money and the proof’s in how we’re going with it all at the moment. Kate Toon: Yeah, so I think yours is an interesting story because you’re a proper business, I guess I would say. You’re not in the online marketing space. [crosstalk 00:02:31] You’ve got a real proper grown-up business. And when we first connected, you had like about four different websites, you were paying an SEO company a fee every month to do the stuff, and you had these, you were anxious about what they were actually doing, because as with most SEO companies, they don’t actually tell you exactly what they’re doing. It’s kind of a bit vague, and you’re not quite sure. Kate Toon: So you came on the course, and I think one of the things that you found most useful was the technical order and the back link order, when you saw what had been done, or rather, what had not been done and that was kind of upsetting, I remember, at the time. Gavin Hodgins: Yeah, we were paying pretty good money, and we had a very long relationship with these guys. I mean, we’d been in business with them since we’d first built our online store 10 years go, and things had been slipping a little bit. Just one of those things, you couldn’t put your finger on what was wrong, but something wasn’t right. You and I had a chat as well, and I distinctly remember telling you how much money we were going to spend on bringing, I think it was four websites and one online store back into the one site, and I remember after you picked yourself back up off your chair there, I had a chat to Marco, and I had a chat to a few other people. Gavin Hodgins: That part of the course was really, really good for me. I had a basic understanding of meta-tagging and title tags and all sorts of stuff, but I’d never gone much further with it. Once I understood it and got over the frustration of things not being done, it was just a case of moving forward, and in the meantime, then, going and building the new site and taking it to where it is now and then working on it to take it further. Kate Toon: Yeah, I think it’s a case of kind of drawing your line under it and you’re obviously not alone. Many people who’ve come on the course have discovered either that A, their SEO company has really not been doing much, like they seem to do lot when you first get started and then it kind of peters off, and but also, a lot of people have come on the course and they’ve had websites built that are supposedly SEO friendly and then when you actually look, that they’re not at all. And I think you raised a really good point there, both in the course and now in our Master Chefs groups, it’s just having someone else to get a second opinion from who is not invested in taking money from you. Kate Toon: What I mean by that is, I was never gonna build your site, and nor did I want to, thank you very much. Although I would’ve done a beautiful job. So having someone else be able to go to it, it’s like the analogy I always use is the car and the garage. Now I don’t know anything about motor mechanics. You take your car in, they tell you there’s 15 things wrong with it, and unless you know anything about mechanics, you have to just take their word for it, and that’s scary. Kate Toon: So tell us where you’re at now. You’ve done the course, obviously, and you have a new site, yeah? So, I’ll share the site. Gavin Hodgins: So I’d actually given the purchase order for the revamp of the current site to be done. And that was going to be bringing the four sites back into one and the e-commerce store into the same site. I don’t mind saying, I was about to spend about $25,000 doing that. We had a chat, and I went and did a bit more homework and realized that, again, my sneaking suspicion was we’re paying too much money. So we built the site and we’re continuing to work on it. The new site’s live. It’s ranking really well. The thing that I’m really focused on at the moment is Google My Business, because we’re seeing a lot of traction with that, and that was one thing that I learned very quickly. I had never even looked at it, and realized that it was actually a bit of a schmozzle, because we had FloatPac and Flexitank and all those different names and it was pointing everywhere and it was just a bit of a disaster, really. Gavin Hodgins: So, we worked on fixing that and we continue to work on that now and then, yeah, keep building the e-commerce site. I’m looking at probably launching a much bigger version of that site later in the year with a whole heap of retail product that we’re just gonna be pretty much buying and selling from some local B to B companies. Focus on that, focus on automation, and just trying to keep churning it so that it just drives our business further. Gavin Hodgins: Yes, I am. Yes, so we had access to the two main sites previously but they were SilverStripe and Magento sites. They weren’t particularly, look, they weren’t bad, but they weren’t what we’ve got now with WordPress with Divi. And so, you did the review last week for me. I’ve tweaked a couple things before we went down this morning, and yeah, we’ve got, since we’ve put it live, we actually put a whole new page up there as well, which was just a neat thing to go back and, once it had been done once, and really knowing how to work it, then look at how that works the second time. Gavin Hodgins: And probably the most frustrating thing at the moment, is I’ll go back through the pages that I’ve built at the very start of the build, and they’re really frustrating now, because I can see exactly what I should have been doing. So I’m just going through and tweaking those. It’s not a site with thousands of pages, but I’m just trying to also push myself to spend probably an hour a day, wherever I can, just looking at different things in that space, whether it be Google My Business or the SEO or tagging of photos, blogs, whatever. Gavin Hodgins: We’ve engaged a PR company now, as well, which was part of our plan anyway, but it’s tied in nicely to where we are with that. And so we’ll keep driving content that way, and you know, I’m looking at possibly bringing a digital marketing agency with a friend of mine who might handle some of the content and sharing of that and calendar-marketing and that sort of stuff, but, yeah… Having that control ourselves is a big deal, because the things that used to take 24 hours to get done can be in 30 seconds now. That was a very important part of us really being able to pretty much take care of our own brand. And I think the really interesting thing that, the feedback we’re getting is, it’s far more personable now because we’re communicating all that stuff ourselves. There’s a personality to it there that just wasn’t there before, and the entire message of the entire business was very messy. And cleaning that up, I think we’ll continue to see the benefits of that as we go along. Kate Toon: Fantastic. I’m pulling out different things and I know we’re talking about my things, it’s a bit egotistical, but I think the support and the confidence and the kind of empowerment that you’ve been given… I guess, for anybody watching, what, if you are a small business owner or a medium-sized business owner, what would be one or two big SEO lessons that you’ve learned that you could pass on. What would be maybe one or two things that you would say to concentrate on or to focus on or to prioritize? 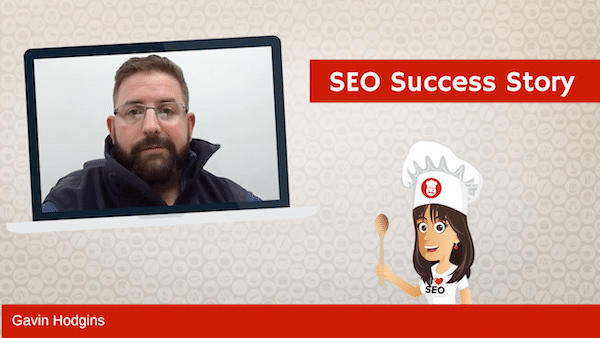 Gavin Hodgins: It’s SEO 101 now, but title-tagging and metadata descriptions are just so important to get right at the very start. And that was something you did hone in on in that course, as well, is start doing it from the very start so you don’t have to go back and fix any of it. The same thing goes with naming of images and the alt-tags as well. And then, really, the other thing that, and it continues to blow my mind even now is just what you can achieve with that Google My Business as well. Gavin Hodgins: Yeah, that’s right. We did the review last week, and we’re seeing probably two, three hundred visits to the blogs and different products that we had just even over the weekend. Gavin Hodgins: Just the photos and things we put up and so that’s worked really well. But, I think holistically, it’s just more, for me it was just the confidence. I always knew that we had something to do, I just wasn’t sure exactly how to do it. Gavin Hodgins: And going and spending a lot of money with someone else is probably what we would’ve done, just because no one knew any better. So, from that standpoint, from a pure business perspective, the return on investment was done as soon as I canceled the purchase order, really, on the cost of your course. The extra money then spent on the chat with you, as well, was, well, again, it paid for itself in about 15 minutes. Those sort of things are the more, they’re the intangibles that I think are really important, that are a bit hard to sometimes extrapolate into written words, but then talking on video and things a lot as you try to communicate that. And all that stuff is good. And it’s also helped invigorate us to keep going and try to do more of it, because if it gets too hard, and you’ve got other… you mentioned before it’s a real business. We’re pretty busy. So if it gets too hard, it goes into that too hard basket, it just doesn’t get done. Gavin Hodgins: Whereas now we’ve got the power to be able to do it when we want, and I think the proof is in what we’ve achieved so far and what we’ll do in the future. Kate Toon: Yeah, I think that’s it. I think results from the course are different. Obviously, most people will look at ranking and go, where, what position are you in, but really it’s about traffic, it’s about conversions, but as you said, it’s the intangibles, it’s feeling more confident to do stuff yourself, feeling empowered to employ third-parties but know that you can keep them accountable. And obviously when the course finishes, now there is a monthly subscription group where you can be kept accountable and be given new ideas and that I think… Cause each month, it’s like, oh, we’re losing energy, we’re not quite sure what to do, but then maybe you watch a video or a training and then, you’re like, oh, I’m gonna make this my task for the week. I’m gonna fix all my images. Kate Toon: And that keeps the ball rolling, because I think we all know that we need to do SEO but it’s just, what do we do first? What’s gonna have the biggest impact? What should we keep on doing? What should we do less of? That’s the hard bit, you know? Gavin Hodgins: Yeah, and I think also, because we were so close to going back and just digging back into the same well again of doing the same thing, I wouldn’t have done what we’ve been able to do now if we were just trying to, in effect, bandaid what was wrong with the other site, even though we were bringing them all back into one page, or one site, it just wouldn’t have happened. Because the new build took long enough. I mean, I hadn’t really considered how much content we had out there that needed to be moved. And that took long enough, but that’s more about probably having a lot of other stuff to do and just prioritizing. So once it was prioritized, it didn’t take that long. But I know within myself that we just wouldn’t be where were now if we had just tried to go back and do the same thing again. Plus we would’ve spent a lot more money, so it makes it an awful lot easier when you can produce [inaudible 00:14:36] with what we’ve spent versus what we’ve made. So it’s been good. Kate Toon: Yeah. It’s one of the best quotes I’ve got from the course is that, we managed to save you something like 15 grand in 15 minutes. It’s pretty awesome, pretty awesome! I might have to make that into a t-shirt or something. Well, Gavin, thank you so much for coming and chatting today. Kate Toon: Yeah, anyone who’s got any questions for Gavin about how he’s achieved what he’s achieved, I’m sure he’d be happy to answer them. 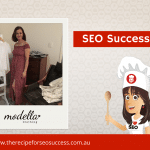 Just pop them under this slide video, and stay tuned for the rest of the week, because throughout this week, I’m going to be sharing more tips and advice, some little tutorials, Q&A sessions, just SEO love in the run-up to the launch of the new course, which launches next Monday. Eeeep! So, Gavin, thank you so much, you are one of my favorite students, with or without [crosstalk 00:15:26]. And I don’t say that to everyone. Maybe I do. I don’t know. But I’m saying it [crosstalk 00:15:32]. Gavin Hodgins: It will make me feel special on this Monday. Kate Toon: Yeah, exactly, well all our sites are down. We’re all just gonna take the day off. All right, Gavin, nice to see you! Gavin Hodgins: Bye, everybody. Bye.